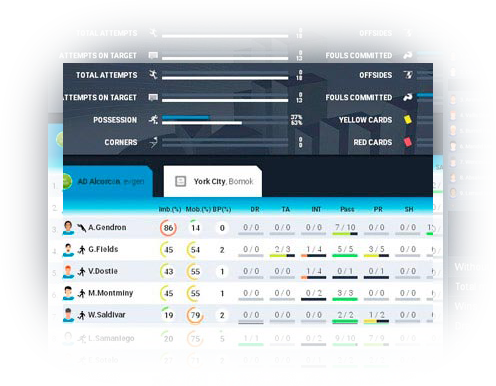 We are starting a new project in which we've collected all the best things of browser games of category «virtual football manager». 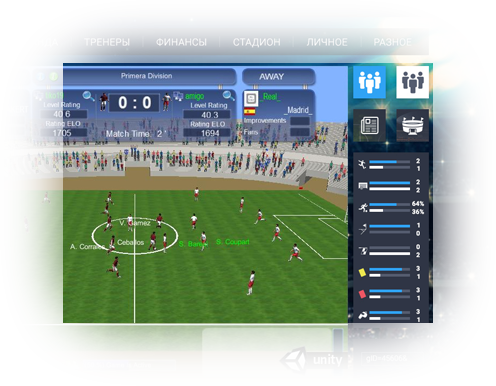 InetBall is an online real time game with 3D video, possibility to change the tactics and replace players during the match; a variety of tactical schemes and ways of influence on the team's actions, infrastructure of club, trainings, transfers of players and many other things reflecting the life of a real football club. 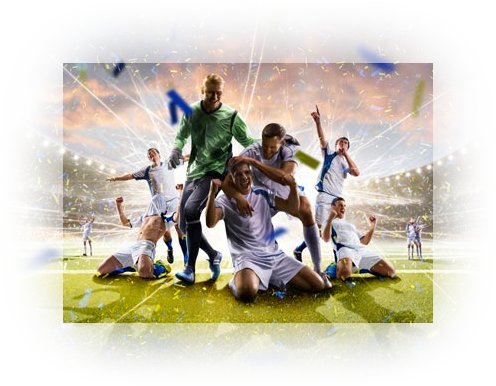 Every season we open new Championships, therefore all beginners have a chance to win a qualification tournament and then to get directly to the Highest League of the chosen championship. One of the components of your club's success is a team tactic. You have an opportunity to choose a tactic for all the representatives of your team or to give personal tasks to each player. 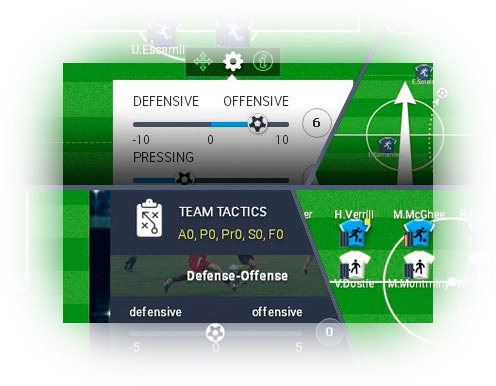 Tactic must be chosen before the match, but you can change it during 5 breaks provided in match time. You should oversee your rival's changes of tactic and build a game on the basis of the situation on the field and the rival's tactic. You receive information on the actions of your team during the match (the number of kicks, corners, ball possessing time, etc.) and statistics of each player after the game, including estimation of the player for a game. The analysis of this information gives the chance to choose the right team tactic and to select the best players on a transfer. Financial wellbeing of a team is based on its own stadium. Putting a ticket price and organization of games of the Championship on your stadium allow you to earn some money. 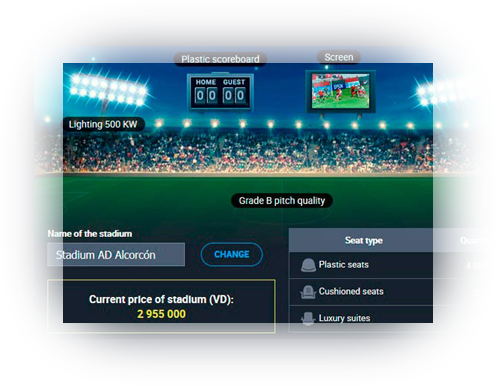 You also can upgrade your stadium to organize more matches of different kinds. To train your team you can play a 3D penalty. This allows to enhance the skills of «shooting» (for the attacker) and «keeping» (for the goalkeeper). All skills also enhance during friendly and official matches of the team. You can watch the 3D video of a team's match or to follow developments in the text report. Winning in tournaments allows you to receive the virtual dollars (VD) for development of team, trophy cups and real prizes. While communicating in a chat or at a forum you can find new friends. The team of consultants will help you to pass a difficult way from the manager of an unknown football club to the manager of one of the top teams of the championship.